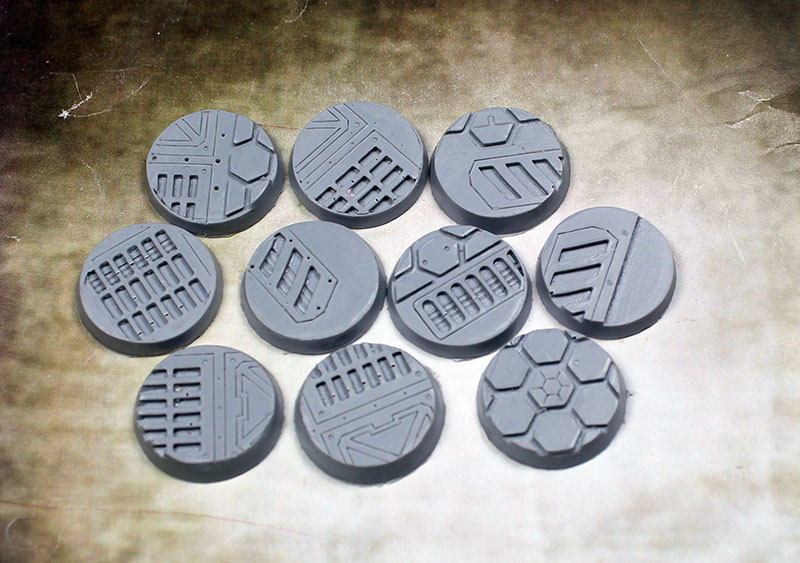 I LOVE these bases for sci-fi/cyberpunk themed miniatures! I've got quite a few sci-fi-themed bases I've acquired over time, but I particularly like about these that the details have sharp definition and DEPTH, whereas some other bases I've used in the past just have lightly scored "panels" and shallow anti-skid patterns that just don't "pop" enough once painted. This has a comfortable level of depth between the raised and recessed areas to make for easy painting of contrasts, but still an overall level surface that makes it easy to find proper footing for just about any figure.